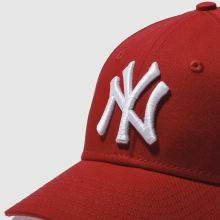 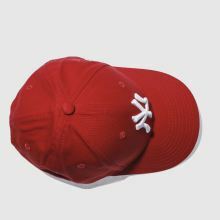 New Era present the Official on-field cap of the New York Yankees MLB team for kids. 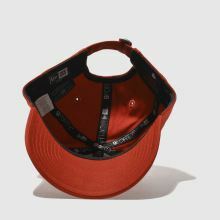 The 9FORTY snapback features a red fabric construction with contrasting white embroidered logo. 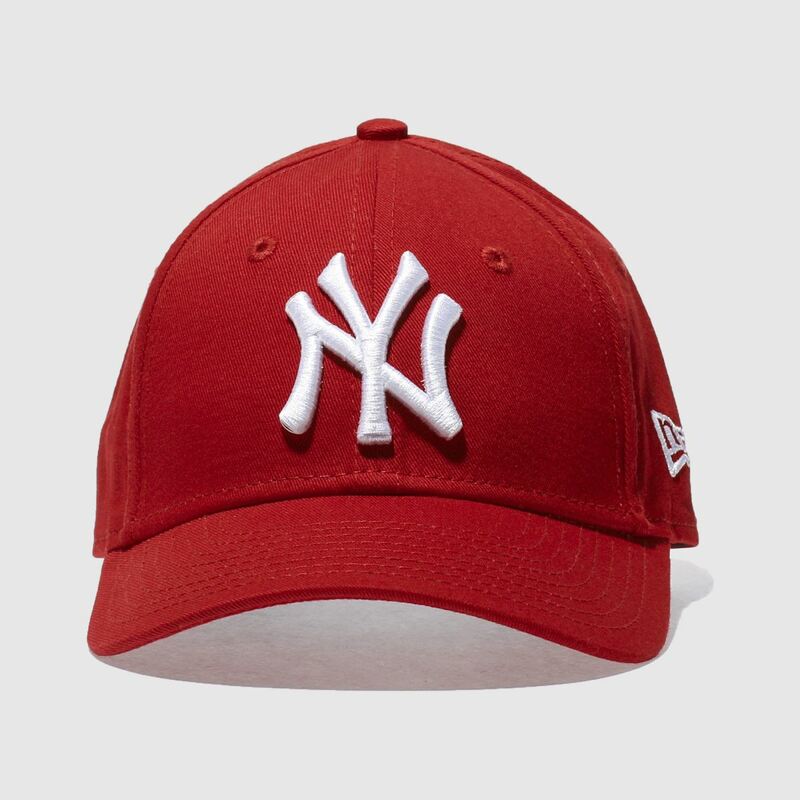 NE flag logo on the left side finishes this iconic headwear.